DARE goes to Counterplay 17, Denmark | D.A.R.E. 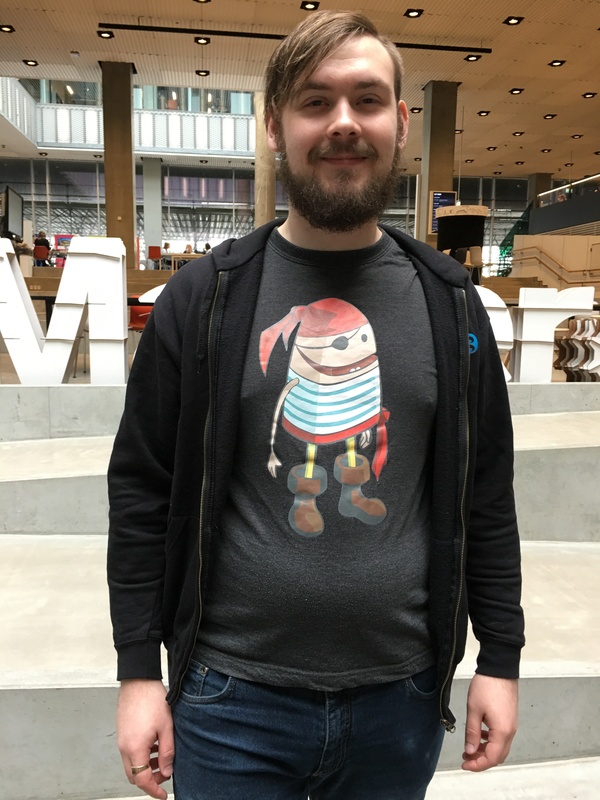 Here’s a Coding Pirate volunteer, Simon Milfred, All ready to go! 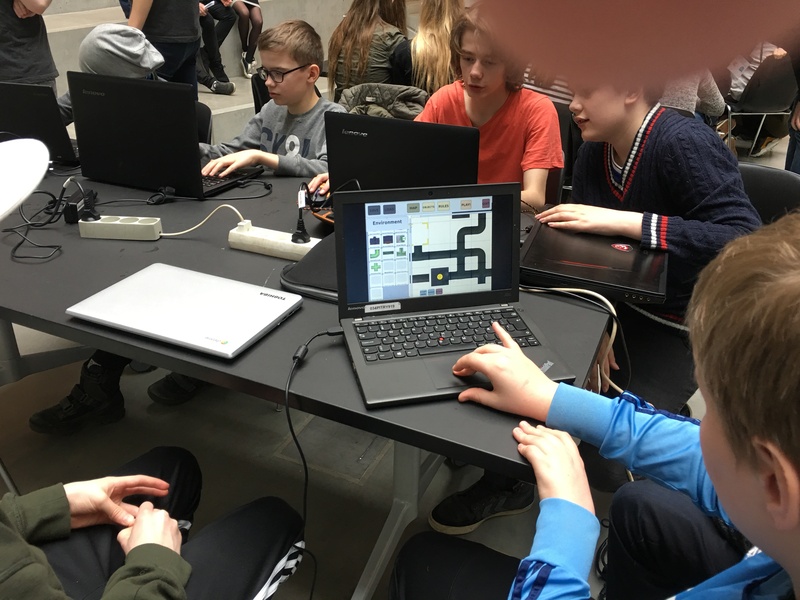 Bruno de Paula and Andrew Burn of DARE visited the Counterplay festival in Aarhus, Denmark, to make Viking games with Danish primary school children from March 30-31, 2017. 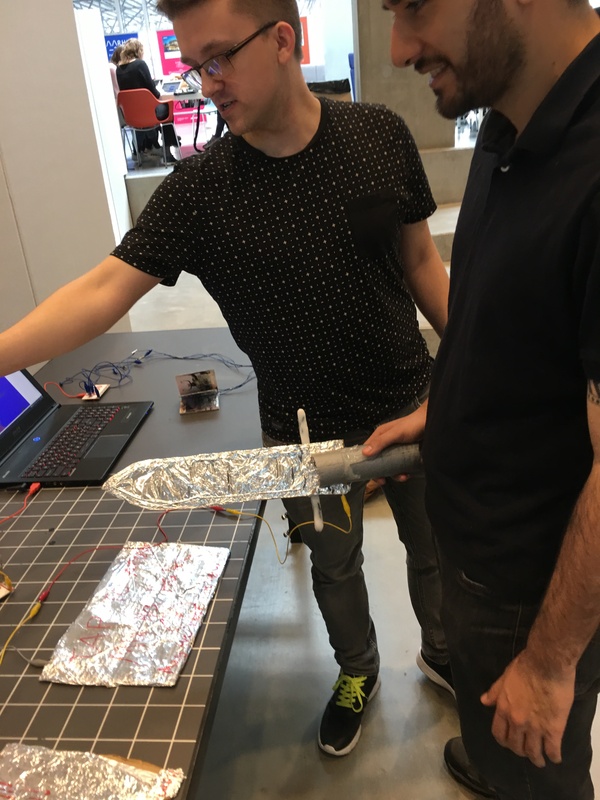 Dr Rikke Toft-Norgard, of the University of Aarhus, had recently made Viking-themed games with English children at London Southbank – so this was a kind of return visit. 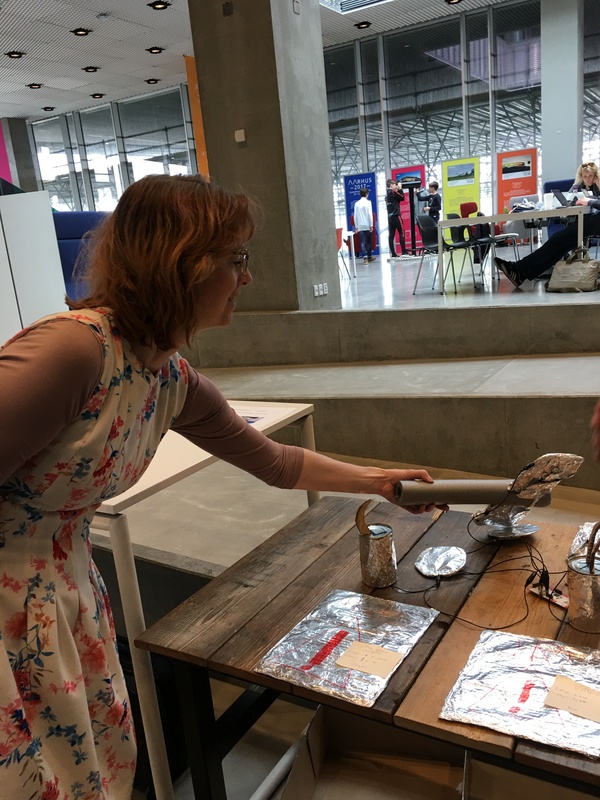 Our workshop was supported by Dr Claus Toft-Nielsen of the University of Aarhus, and by volunteers from Coding Pirates, the Danish network for code clubs and related activities in Denmark. The workshop participants were 32 Danish schoolchildren – two classes from a local primary school, with their teachers. The workshop used the Missionmaker software developed by MAGiCAL Projects. 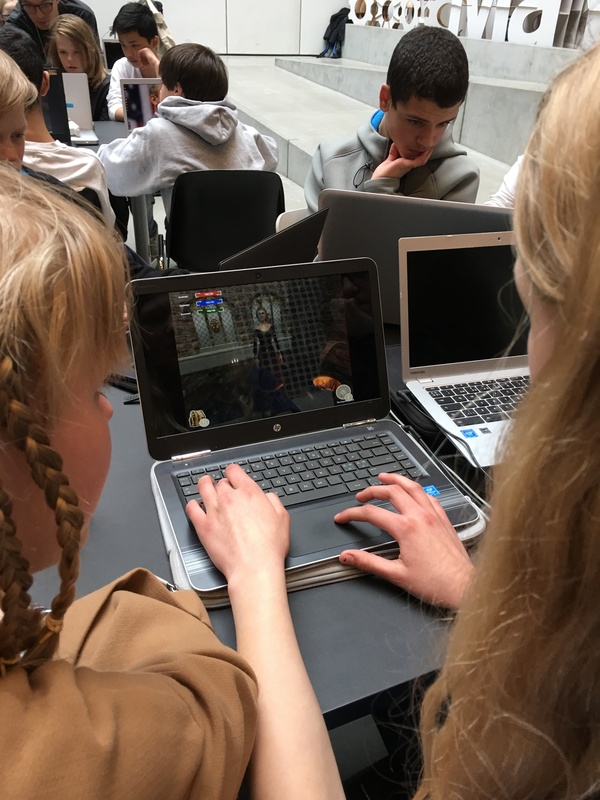 This version was developed for DARE’s Playing Beowulf project with the British Library, so its environments of mediqaeval halls and caves, and its characters of Nordic warriors, mediaeval villagers, dragons and monsters was particularly appropriate. Here are two girls planning their game, one designing in Missionmaker, the other writing the story on her laptop. After Bruno’s demonstration of the software, the children quickly picked up the techniques of designing games, building environments, adding objects, characters and weapons, and making rules to determine events and actions. As is always the case in Scandinavia, we were amazed by the ability of the children to understand and use what seemed to be perfect English! It was interesting to see how game structures – obstacles, rewards, missions, bosses, began to emerge and also how some children developed narrative elements, including a sense of who their first-person player-character was, who might help him/her achieve the desired ends, and what motivated the enemies. Narrative elements also included brief sections of dialogue recorded by the children, such as a warning issued by a helper character, written and performed by one girl, Josefine. Here are two girls programming the Queen character to become aggressive when approached by the player. We also noted how different structures of game-world emerged, from structures based on rooms in a castle or hall, to maze-like structures made of interlocking corridors. Here’s a boy’s game building a maze-like world. Our intention is to look through the games, play a selection and video-capture them, and add them to this post later. Our thanks to Rikke and Claus for inviting us, and making it possible – also to the children and their teachers.